WELCOME TO REANNE CURTAINS & DESIGNS! If you’re searching for advice, guidance or inspiration, if you need a treatment that has to be functional, efficient but also looks good – well, search no more! At Reanne Curtains & Designs, we specialise in creating liveable spaces; rooms that fit with you and your home. The result is comfortable and inviting window and home decoration that will stand the test of time. Maybe you’re building for the first time, or you haven’t decorated for years and you just want to know what’s in style for window treatments these days. If you have a project that’s different – out of the box – and need someone to make it happen, we're the right people for the job. We’ve the experience for all types of projects Needlecraft Curtains and Blinds in Bendigo is your exclusive LUXAFLEX® Showroom for our local area. For over 30 years we have been installing Window Fashions solutions for a wide range of homes in our area. Located in beautiful Bendigo, our showroom is a stylish new direction in the selection of innovative window blinds, shades, shutters and awnings for your home and lifestyle. Along with our specialist in-house curtain makers with over 30 years experience and our in-home Decorating consultants, we have the experience that makes us Bendigo’s premier Window Fashions studio. Being part of our community means for as long as we have means providing service above and beyond expectations and the quality of products that we know can last the distance. We understand the challenges Buying quality window furnishings can be a big decision. Overwhelming product choices and even more confusing advice can leave many people bewildered. We all want the best option for the best value for our hard earned dollar, whether it is for our home or work place. We can show you all the possibilities How do you want your room to feel? 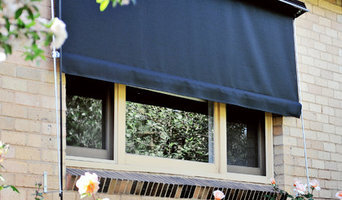 Our state of the art Gallery showroom located at 155 Lyttleton Tce features the full LUXAFLEX® Window Fashions range. We invite you to visit and see what’s possible: Operate the full size products on display including the ultimate in in-home automation. View the entire colour range with a comprehensive sample collection. Mix and match what you need for your home or commercial property. Get an obligation free quote to allow you to make the right decision. Whether building a whole house or refurbishing one room, you’re always welcome to come in to our showroom or simply call us for advice so we can help you find the right solution for your home and budget. Window treatment professionals, designers, vendors and manufacturers often specialise in different types of window coverings. Some handle shutters and/or blinds, while others work primarily with fabric treatments such as swags and valances. Still others focus on high-tech automated shades or louvers. But regardless, your Bendigo, Victoria pro can advise you on the pros and cons of the material and style that interest you, as well as help you determine whether prefabricated window coverings are the best choice for your space, or whether custom versions would be ideal. If you are looking for a more tailored result - designer curtains, custom shutters or other bespoke curtain styles - A window treatment professional might work closely with a Bendigo, Victoria interior designer or house decorator to widen your options. Here are some related professionals and vendors to complement the work of shutters, blinds & curtains: Windows, Interior Designers & Decorators. Find a window covering professional on Houzz. 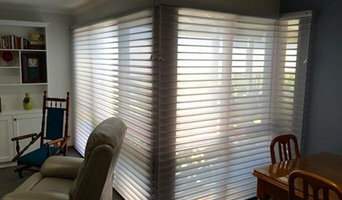 Narrow your search in the Professionals section of the website to Bendigo, Victoria window coverings. You can also look through photos to find examples of Victoria window treatments that you like, then contact the professional who worked on them.